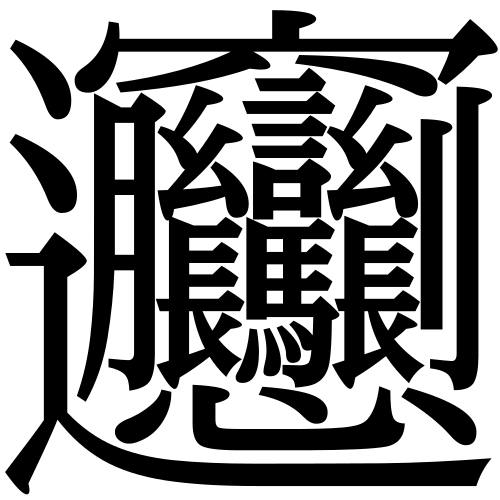 Ladies and gentlemen, meet the most complicated Chinese character, Biáng. With 57 strokes, it is used in the name of a dish from Shaanxi, the Biang Biang Noodle ( 面). Note how even copy-pasting the character from Wikipedia results in the character’s inability to be displayed normally alongside the noodle character. Also, this word is not standard Chinese, so typing it into Google translate will not yield anything, nor can the online keyboard from Google yield this character. Speculations of the origins of the word include that it is the sound people make when munching on the noodles, or that it is the sound the dough makes when the chef pulls the dough and slaps it against the table. Some concluded that it was merely made up by a noodle store. For anyone wondering “Where do I even begin to write this character? ?” here’s a nifty video (below) to help you out. However, I’m not just here to talk about the “biang” character. I’m here to talk about Biang making its ways onto the shores of New York. There has been a Xi’an Chinese food chain, called “Xi’an Famous Foods,” that’s been popping around New York. They’re known for being cheap, with good portions, and offering the rarely-seen Xi’an cuisine, which often includes meat skewers, cumin lamb buns, and of course, biang biang noodles. Most Xi’an Famous Foods chains are hole-in-the-wall kind of establishments, with nothing to write home about for its decor, ambience, or any of the other bourgeois things people talk about when assessing eateries; Xi’an Famous Foods is a no-nonsense, eat-yer-food-and-get-out kind of place. So when that chain introduced Biang!, their upscale version of their chain restaurants (replete with a spiffy website! ), serving the exact same menu, one wonders what is the point. Even more important, one wonders if they would jack up the prices, given that Biang! features mood lighting, air-conditioning, nice brick walls and made itself the kind of place you would potentially bring your date to. Well it seems that Biang! does have some slight variation in their menu, offering some food items not usually available from the laminated pictures of the food stuck onto the walls of its lesser chains, so were one so moved to go all the way to Flushing (about 40 minutes from Manhattan), one should go just for a taste of Xi’an, if not to just take a picture of the signboard with the most complicated Chinese character in existence. When people ask, “What food is uniquely Singaporean/Malaysian?” the usual dishes of kway teow, rice dishes, curries, and so on usually come to mind. But a lot of those dishes do originate from elsewhere — curry from India, many rice and noodle dishes are from China — it is the adaptation of these foreign influences and transformation into what it is today that make them uniquely Singaporean/Malaysian. One of the ultimate amalgamation of cultures would be the Peranakan; descendants of Chinese immigrants in Indonesia and the British Malaya in the 15th or 16th century. They’ve retained the ancestor worship of the Chinese, but mostly assimilated the language and culture of the Malays. 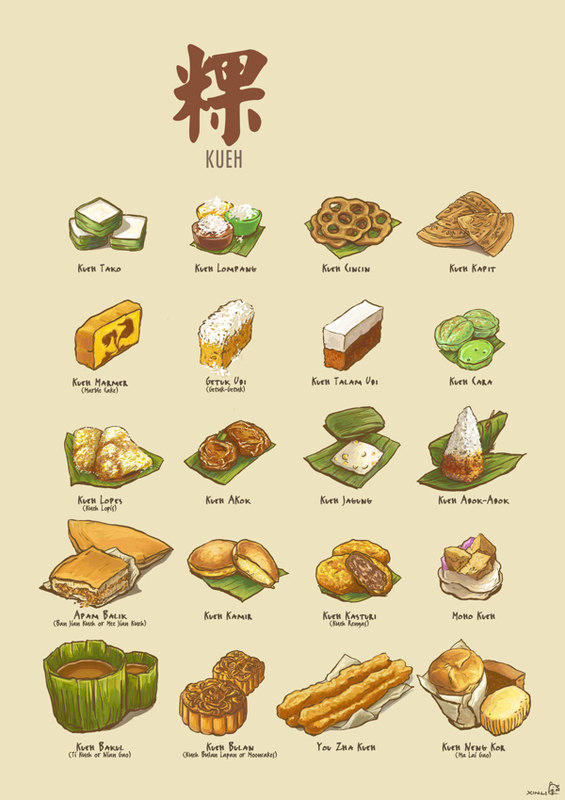 Their language, Baba Malay, is a creole of Malay with many Hokkien words in it. Given that many Peranakans are of mixed heritage of Chinese and Malay, many look like a cross in-between — darker skinned than most Chinese, but slightly paler than many Malays. But one thing that’s absolutely amazing about the Peranakan culture is their food. Using many typical Malay spices and traditional methods of cooking, such as crushing flower petals to obtain natural food dyes, Peranakan food is something as much to look at as it is to eat. 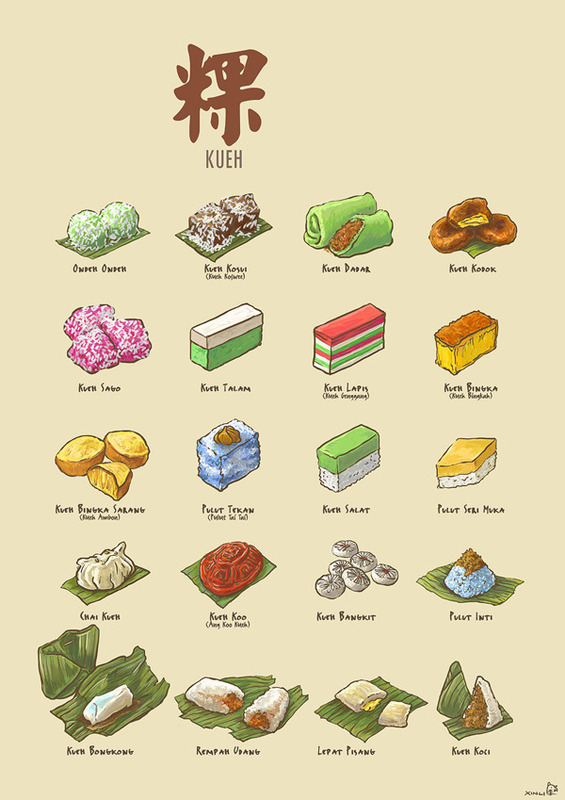 “Kueh” (sometimes spelled “Kuih”) are various cake-like confections that range from savoury to sweet. 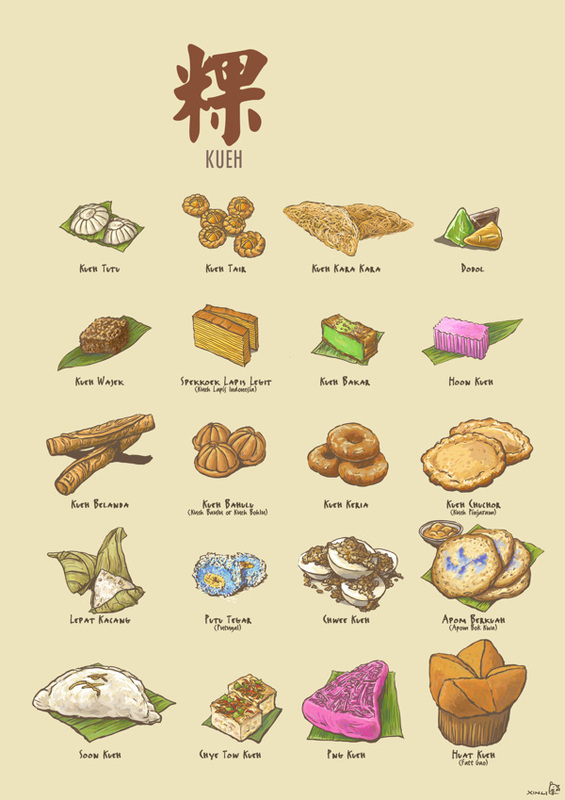 The below, taken from Lee Xin Li’s post, demonstrate the mind-boggling variety of Peranakan kueh that exists. It was a geek overload over the weekend: not only was there the New York Comic Con, but it was also the launch of the new Pokemon game, Pokemon X/Y. Let’s talk the Pokemon launch. There was a launch event going on from 8 PM to 12 AM, where people in line can get their hands on the game. I’ve been waiting a long time, even obsessively checking Reddit forums for all the spoilers about the game (I effectively knew all the Pokemon there were in the game even before the game was officially released). I was most definitely going to the launch event to get a copy of the game. I met up with a couple of friends, where we decided to play some Mario Party before going to the event at the Nintendo World store at Rockefellers Center. Friendships were broken inevitably, as people who play Mario Party are wont to do, but we left at 8 PM. The queue had already circled around the block. Thankfully, but virtue of us being ninjas, we managed to ninja the line (cut the queue) just a tad. So from 9 PM, we stood there, as I racked up so many Streetpasses, the Nintendo 3DS feature that allows one to exchange profiles with each other that can be used for the 3DS’s minigame, Mii Plaza, and I spent about 3 hours of non-stop trying to clear the Streetpass — it was honestly the first time I felt exhausted by it, when ordinarily I’d have been thrilled for any Streetpass. At midnight, the line started moving. Rejoice! I was physically closer to getting a copy of the new Pokemon! Getting closer now, cleared a couple more Streetpasses, turned the block, great, is that the facade of the building?? My heart swelled up from excitement, and promptly shattered into a million pieces. I waited three hours in line with all that hype and was to leave the place empty-handed? There were mixed messages floating around as another person said that it is likely those in line with us would get the games, provided we wait perhaps another three to four hours or so. Meanwhile, those who had been waiting in line since 5 PM were gaily enjoying their stupid Pokemon games and stupid Pokemon launch event swag. 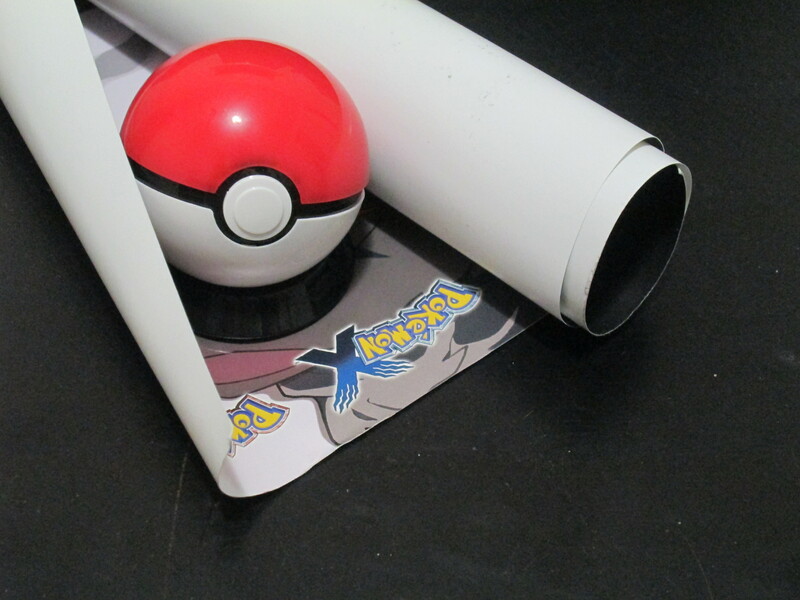 In consolation, they gave out Pokeball game card holders and some posters. I was not very consoled. But I left anyway, because I haven’t had dinner. I took nearly a week off from updating because I felt like I was haemorrhaging for ideas at one point. I think I am ready to get back on track again. It’s been over NINE years. You’d think we’d have moved on as a society. Second most popular comment is: “Who the hell actually says ‘A whole nother'”? News of the Higgs boson came out a long time ago, and has been nicknamed by the media as the “God particle” as an accessible way of understanding what the particle is, much to the chagrin of many scientists. It has also been touted as the particle responsible for giving things mass. Frankly, I didn’t quite understand it back then. Thus I sought to read up on it, and I learnt many surprising things about how it worked, and how many of the things the media said it did were untrue. I stumbled upon the blog of theoretical physicist Matt Strassler, who tries to explain big science as painlessly as possible. His article, The Higgs FAQ 2.0, was immensely helpful in parsing out what the discovery of the Higgs boson really means and what the media touts it to be. First and foremost: scientists aren’t particularly interested in studying the Higgs boson (particle). What they are really interested in is the Higgs field, which the discovery of the Higgs boson can help confirm that the field at least exists. The media has been touting how the discovery of the particle will explain the building blocks of life and how matter come to be, but that really isn’t true. It isn’t the Higgs boson that gives mass to other particles, but the interaction of the other particles with the Higgs field itself. What is the Higgs field then? The Higgs field is something that’s everywhere, measurable, and can be what’s called “zero” or “non-zero” on average. If it’s “non-zero,” it can have tangible physical effects on our world. What’s so important about this is that because the Higgs field is non-zero in the universe, many particles have mass, including the electron, quarks, among others. “If the Higgs field’s average value were zero, those particles would be mass-less or very light. That would be a disaster; atoms and atomic nuclei would disintegrate. Nothing like human beings, or the earth we live on, could exist without the Higgs field having a non-zero average value.” Strassler writes in his FAQ. On the one hand, finding the Higgs particle is the easiest (and perhaps only) way for physicists to learn about the Higgs field — which is what we really want. In that sense, finding the Higgs particle is the first big step toward the main goal: understanding the properties of the Higgs field and why it has a non-zero average value. The many simple explanations of how particles, such as electrons, gain mass by moving through the Higgs field is wrong. And so a particle’s mass is the same no matter what it is doing — stationary relative to you or moving relative to you. And that’s important, because a particle is always stationary relative to itself! so it always, from its own point of view, should have the same mass. Analogies which refer to the particle’s mass as having something to do with the field being like molasses, or a room full of people, are problematic analogies because they make it seem as though a particle must be moving in order to feel the effect of Higgs field, whereas in fact that is not the case. I started by looking at those analogies, but the one below explains it the best, even though it still has to use the analogy of “moving through it” to achieve the idea of achieving mass. I would say a more accurate analogy might be: There is a room full of magical fat that coalesces onto people who exists in the room. A person X exists in this space, and he coalesces a light amount of magic weight on from the air; he can move around lightly. A person Y also exists in this space, and in his existence, he coalesces a lot weight on him; he moves around less lightly. A person Z exists in this space, but he is special and coalesces no magical fat on him at all, and he is able to zip about at speeds unthinkable to X and Y. The encumbering of the coalesced magical fat on the persons are the given mass. Thus, X has less mass than Y, and Z, akin to the speed of light, and having no magical, cumbersome fat on him at all, is mass-less. …the Higgs field is not the universal giver of mass to things in the universe: not to ordinary atomic matter, not to dark matter, not to black holes. To most known fundamental particles, yes — and it is crucial in ensuring that atoms exist at all. But there would be just as much interesting gravitational physics going on in the universe if there were no Higgs field. There just wouldn’t be any atoms, or any people to study them. The Higgs field does not give an atomic nucleus all of its mass, and since the nucleus is the vast majority of the mass of an atom, that means it does not provide all of the mass of ordinary matter. Black holes appear at the centers of galaxies, and they appear to be crucial to galaxy formation; but the Higgs field does not provide all of a black hole’s mass. In fact the Higgs field’s contribution to a black hole’s mass can even be zero, because black holes can in principle be formed from massless objects, such as photons. There is no reason to think that dark matter, which appears to make up the majority of the masses of galaxies and indeed of all matter in the universe, is made from particles that get all of their mass from the Higgs field. The Higgs field, though it provides the mass for all other known particles with masses, does not provide the Higgs particle with its mass. That post becomes hard to understand further down the line, as Strassler uses mathematical equations to demonstrate how even if the Higgs field became zero on average instead of being non-zero, while electrons, quarks, neutrinos and W and Z particles, which are dependent on the Higgs field for their mass, would then become massless, Higgs particles still have mass, indicating that their mass must come from a different source, other than the Higgs field. In all, understanding scientific breakthroughs is hard, especially when the media, in its bid to make it accessible to the general public, obfuscates or places unnecessary emphasis on the wrong things. This actually impedes the understanding of what’s actually important, and learning about how our world works.